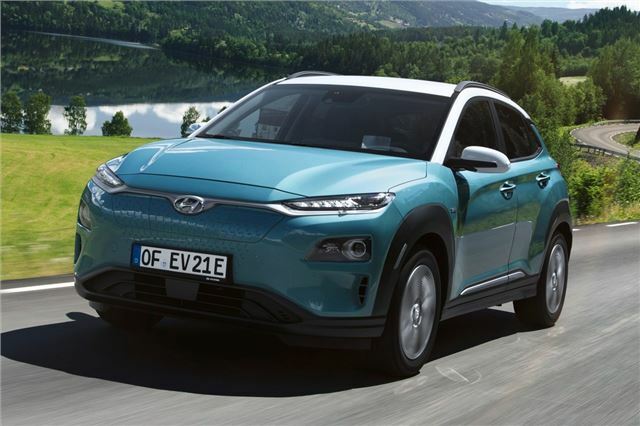 The electric Hyundai Kona could be the car that addresses all of the stumbling blocks that prevent you from buying a plug-in car. With a list price starting at less than £30,000, it’s relatively affordable (at least compared to the Jaguar I-Pace and Tesla Model X), while an electric range of up to 300 miles means it will cover most journeys before needing a charge. 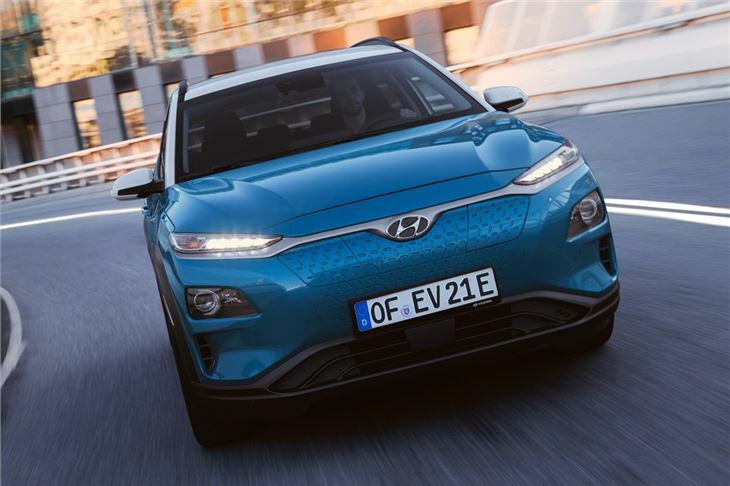 Add to that a crossover body (everyone wants a crossover) and an increasing demand for electric cars, and surely Hyundai’s onto a winner with the Kona Electric? Well, sort of. Part of the issue’s going to be coping with demand, says Hyundai. Deposits have already been taken, despite orders only officially being open from August 2018. 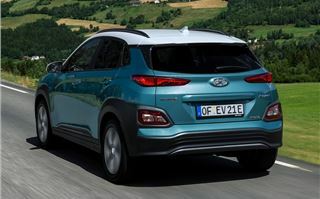 And you won’t be able to buy a Kona from your local Hyundai dealer. Instead, you’ll have to do it online via the firm’s Click to Buy website. 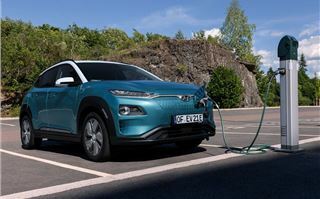 So, is the Kona Electric the car to convince you to ditch your diesel? First impressions are good. You can decide for yourself whether you’re keen on the Kona’s appearance, but it doesn’t look that different from the standard Kona, and most buyers will appreciate that. 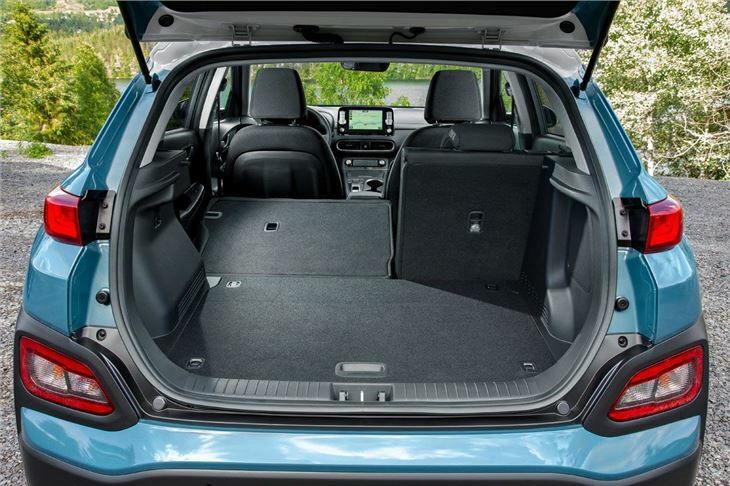 Batteries located under the floor of the compact SUV shape means there’s a reasonable amount of room inside. 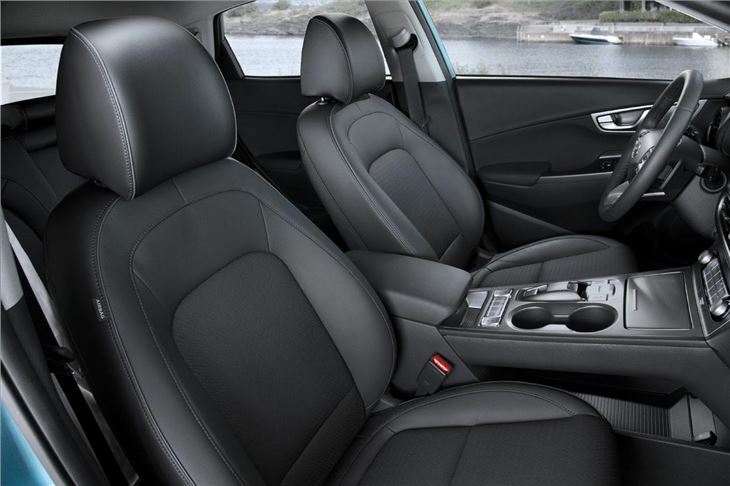 The rear seats are a bit short of legroom, as per the ordinary Kona, and adults will sit slightly awkwardly with their knees above their waist. 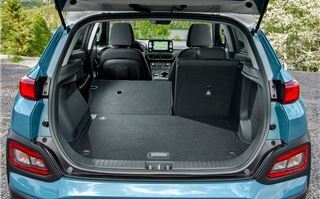 There’s plenty of headroom, but the boot’s 322 litres is smaller than rivals such as the Nissan Juke and SEAT Arona. Hunt for them and you’ll find some hard plastics inside, but it feels like a modern cabin - despite lots of buttons (a bonus depending on your point of view). There’s a 'floating' centre console and an eight-inch multimedia display with Apple CarPlay and Android Auto as well as built-in navigation. The infotainment display looks a bit like an afterthought tacked onto the dash, but it’s an easy system to use and directions from the navigation are clear. Talking of buttons, there are four of them where you’d ordinarily find a gear lever. Labelled P (park), R (reverse), N (neutral) and D (drive), once the ignition’s turned on (you won’t hear it) you simply press the necessary button and drive away. There’s an electronic handbrake which, although many aren’t keen, actually makes life easier than a conventional handbrake once you’re used to it. 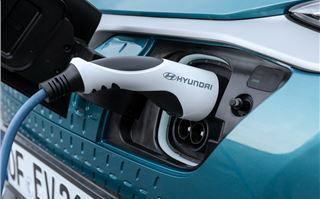 In 64kWh guise, the one we’re testing here, the Kona’s performance might take you by surprise. It can hit 62mph in 7.6 seconds and there’s certainly enough power to make the wheels spin when pulling out of junctions hastily. It’s fun, though, in the same way most electric cars are - instant torque and the weird sensation of accelerating without the sound of a conventional engine. There’s a fair bit of wind and road noise at motorway speeds, but that’s partly noticeable because there isn’t a petrol or diesel engine to drown it out. Unlike most crossovers, the location of the Kona Electric’s batteries means it combines a high seating position with a low centre of gravity. As a result, it feels surprisingly agile, even if it can’t hide its 1685kg kerb weight. The claimed range should be pretty accurate as it’s been measured under the new WLTP test which is intended to replicate real-life conditions. Once you’ve used up all your electricity (and how often do most drivers travel more than 300 miles in a day? ), simply plug it into a wallbox installed at home and it will hit 100 per cent in around six and a half hours. On those occasions when you are caught out away from home, fast chargers at motorway service stations will top it up to 80 per cent in around 45 minutes. It might sound complicated, but as we’re finding out with our Volkswagen e-Golf, living with an electric car is easier than you might think. Is the Hyundai Kona Electric the car that’s going to change your mind about electric vehicles? Well, it’s pretty good. It drives well and the interior feels more futuristic than the standard model. Numbers mean a lot in a car like this and the range on offer combined with the relatively affordable list price means it makes more sense than the Nissan Leaf. You might sense a ‘but’ coming, but there isn’t one. Not really. Sure, it could be more spacious and actually getting hold of one might prove difficult. Many buyers won’t be fussed about the former, and as for the latter… well, if we’re embracing electric cars, perhaps it’s time to embrace car buying of the future too. 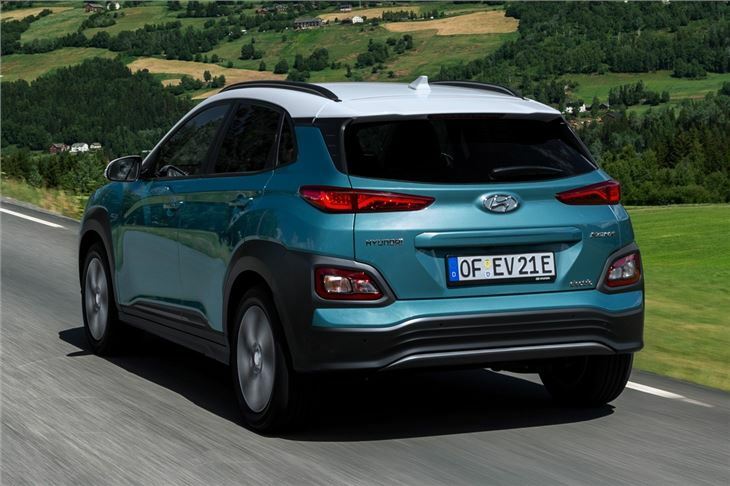 The Hyundai Kona Electric is on sale from August 2018.